Transforming its commitment to discovering potential, championing dreams, Rajasthan Royals today launched its first cricket academy in the United Kingdom. The Star Cricket Academy based at Reed’s School in Surrey joined hands with Rajasthan Royals to relaunch the facility as the ‘Rajasthan Royals Academy’. The facility at Reed’s has a state-of-the-art cricket centre named the Jarrett Centre. It is an indoor cricket training centre run by former professional batsman Siddharth Lahiri, along with his team of elite coaches including former England international and mentor to the academy, Keith Medlycott. “I am delighted that Rajasthan Royals are launching an academy in the UK. There is so much talent here and the learnings that can be transferred from the IPL and Indian cricket in general are immense!”, said Jos Buttler. “We have entered into this partnership to engage with the growing cricketing talent in the UK with learnings from the most innovative T20 league in the world. I am very thankful to Sid who shares the same vision as the Royals and agreed to join hands and provide training of the highest quality to budding cricket enthusiasts in the UK,” added Zubin Bharucha, Head of Cricket, Rajasthan Royals. The state of the art facility at Reeds has an exclusively built cricket centre called the Jarrett Centre. 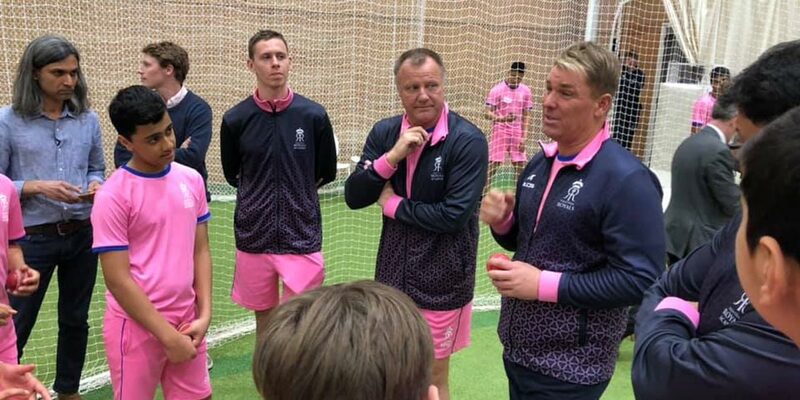 It is an indoor cricket training centre run by Sid Lahiri along with his team of international coaches that include Ollie Pope (England & Surrey), Ryan Patel (Under 19 England, Surrey pro), Amar Virdi (Surrey) and Alex Milton (Worcestershire). The franchise is keen to create an exchange programme across India and UK wherein the children from the UK will receive an opportunity to come to Institute of Sport, Nagpur and learn insights from the Indian experts, with the students from India getting an opportunity to learn new techniques and tactics from international coaches. In other words, the students will be far better prepared due to expertise from Indian as well as international coaches.